A Saturday treat with family, sad times to say goodbye to my little sister and her partner leaving Cornwall and heading back up to Scotland. We needed somewhere where we could find a corner, the four of us and my dog to settle down and talk about their adventures ahead. 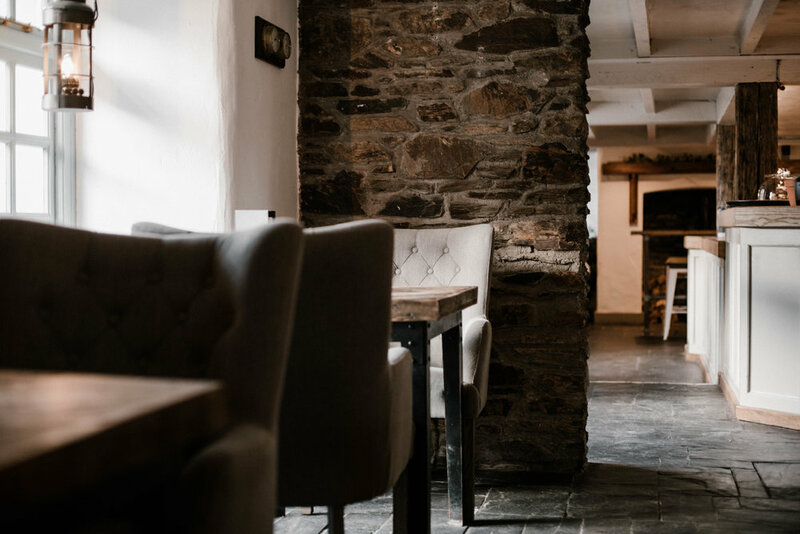 We found it, the service from the moment we stepped into the old place was perfect, welcoming and warming on this frosty day where we say hello and goodbye to family. The option to have a soy latte was a nice touch, although getting more of a common option it was a nice change as I move further and further into being a vegetarian and dip my toes into veganism. All four of our coffees came really quickly and were warming us up in seconds breaking the frost from outside and warming us all into conversation. 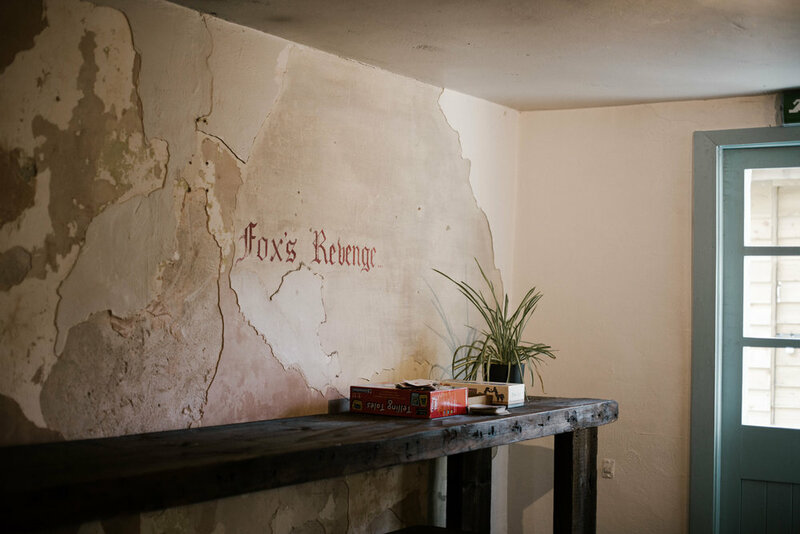 One of the things I love about The Fox’s Revenge is the decor and the way the character of this beautiful old building is allowed to show her face and say hello, from the thick wooden beams and supports to the old plaster showing through and the name just keeping its place on the wall. Those touches that make you look around every corner to see what else of the history has been kept and all the stories the old building wants to tell you. We eventually got down to business and made our choices for breakfast and I am always so happy to try something new and away from the usual basic vegetarian and gluten-free options. Sweetcorn fritters, poached egg, kale and a spicy chilli jam was a pleasant surprise to see on the menu, the sweetness just coming through in the fritters with a perfectly cooked poached egg made my morning. 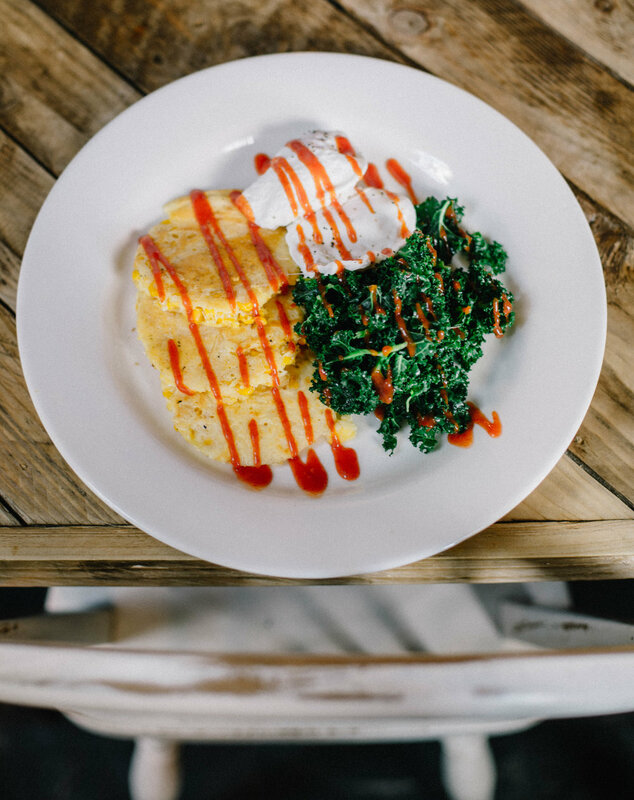 I love kale, so much so that my Fiance struggles to eat it as we went through a stage where it went with everything, to see it on my breakfast plate was just what I needed to accompany the delicious crispy fritters and egg. Growing up in Scotland chilli was never really on the menu and I have slowly grown to enjoy the taste although my Scottish taste buds still struggle with heat, the chilli jam was a great balance that wasn’t too hot but had a kick that lifted the dish and brought everything together. I must admit that this poor Scottish lass did require a bit of water to put out the little fire that had started in my mouth. 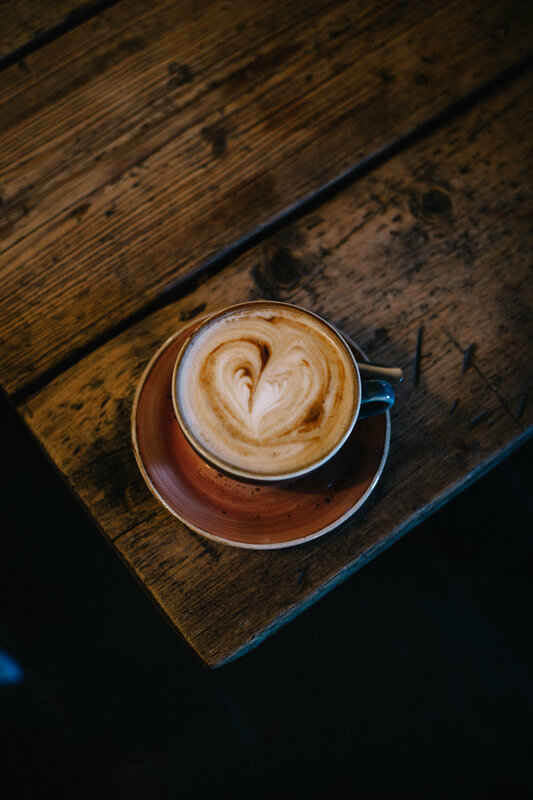 The coffees were so good that we had to order another round and took our place around the fire, winding down our morning together whilst warming our toes against the wood burner was the perfect way to say goodbye as they make the big move back up to Scotland. 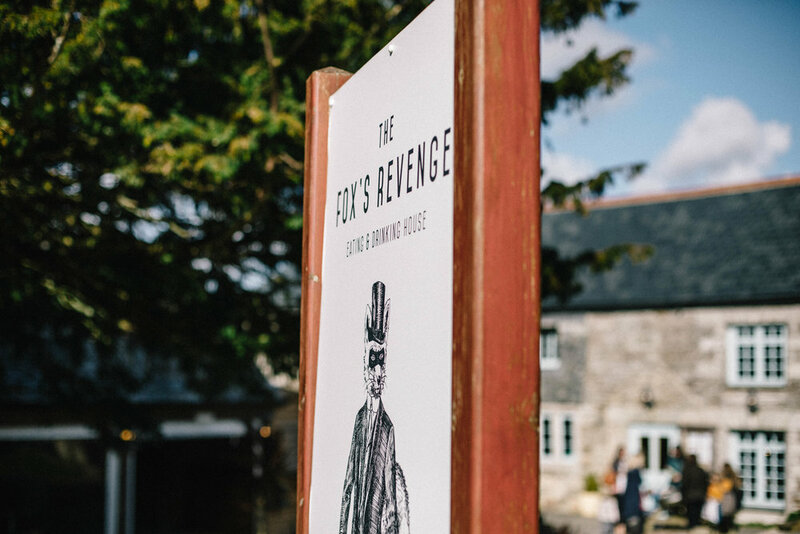 The Fox’s Revenge made that goodbye all the easier with their smooth and relaxed service, great food, fantastic coffee and a wood burner to warm the soul.